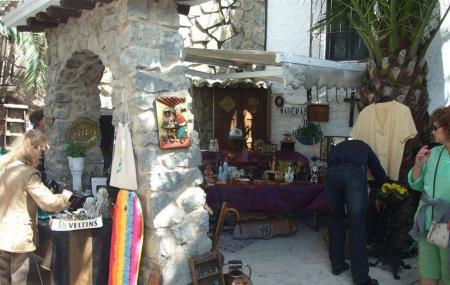 If you love artefacts with a rich history, head to the El Cisne Antiguedades- an antique shop lane where you can buy second-hand furniture, paintings, cutlery, music instruments, DVDs, gadgets, vintage clothes, chandeliers, carpets and rugs, sculptures, miniatures, décor items, china, porcelain, old clocks, books and rare collectibles. The mahogany furniture collection is a highlight here and if you truly like to collect vintage pieces with intricate artwork, ‘old-school’ construction and high quality, the place will spoil you with choices. The market itself is loved for its energy. You can come across street musicians and flamenco dancers that perform here all day while the food stalls sells everything from hearty paellas to delicious drinks. Do brush up on your bargaining skills to get the most out of your visit here! How popular is Antiguedades El Cisne? People normally club together Museo Municipal De La Boca Del Calvari and Benidorm Circus while planning their visit to Antiguedades El Cisne.